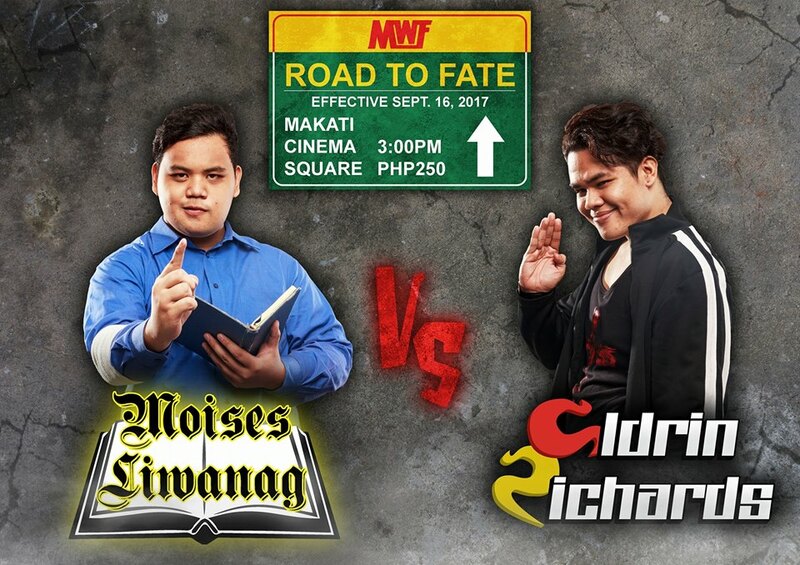 Live from the Makati Square Arena along Chino Roces Avenue, Makati, it's the Manila Wrestling Federation's third outing, Road to Fate. We had six matches slated for the afternoon, and as always, we're here to keep you updated with results as they happen. Here's how the card played out, mga ka-smarkada! "90s Action Hero" Gigz Stryker and MWF CEO Gus Queens opened the show with a promo to recap their issues and set the stage for the night's main event. 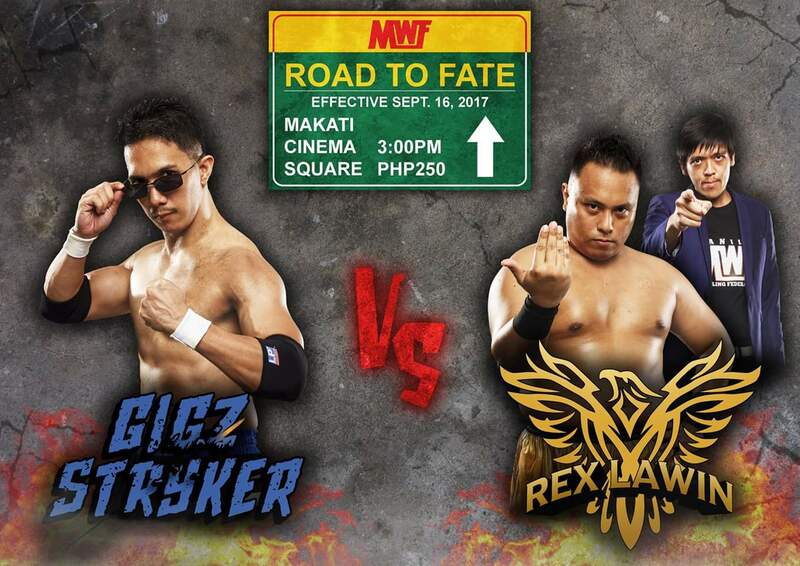 A brawl eventually broke out between Stryker and Queens' attack dog Rex Lawin, who were scheduled to meet in the headline match. Security eventually broke up the fight, preventing the hostilities from escalating. This was an enthusiastic match that had the two young talents showing off their technical skills with a nice chain wrestling sequence to start. Thurteen connected well with the crowd, as opposed to the methodical Ryujin, only to fall to a shiranui for a second straight career loss. In his post-match interview, a dejected Frankie confessed to having underestimated his masked foe. 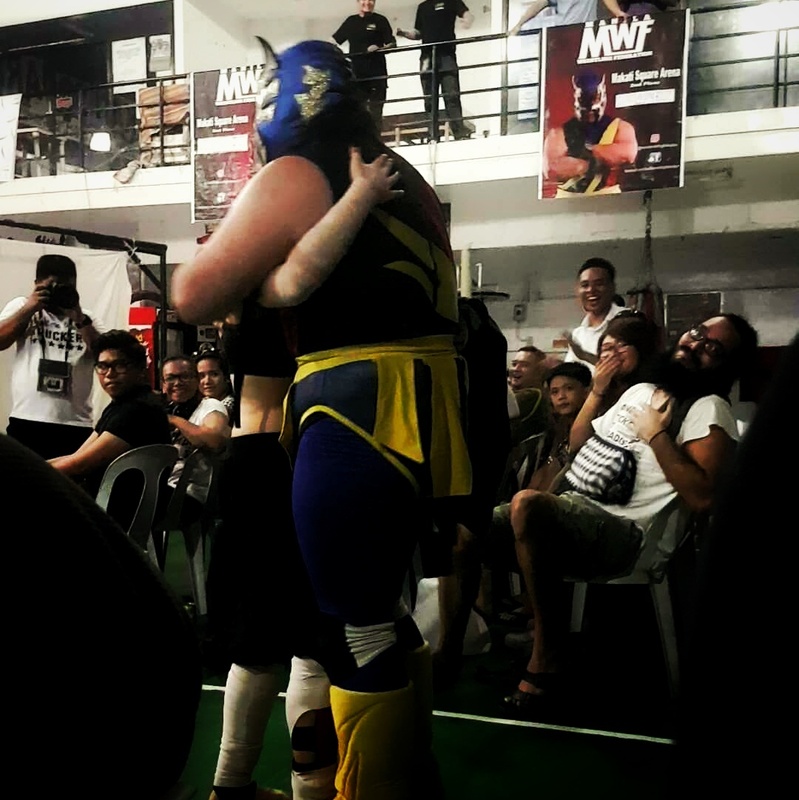 Liwanag continued his cult leader theatrics, praying over a bearded audience member with a broken arm before his match against MWF's Pambansang Bae. The "Son of Light" was wildly over with the crowd in attendance—especially after successfully healing the injury! Richards looked to have improved by leaps and bounds since his Republika debut, and won the audience's hearts—especially after kicking out of both a Shining Wizard and a brainbuster. Unfortunately, heart wasn't enough, as he succumbed to a Rear Naked Choke for the knockout loss. Richards is now 0-2, while Liwanag climbs to 2-1. Winner: Moises Liwanag via TKO. 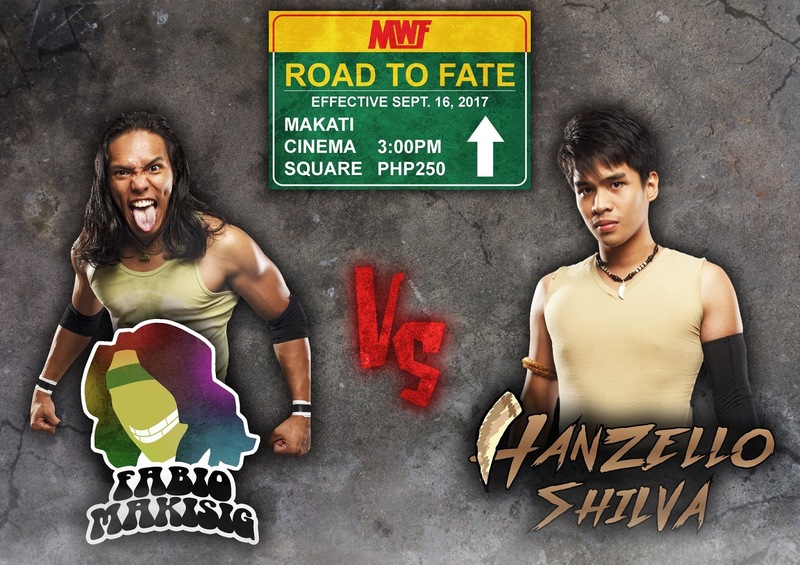 Makisig lived up to his reputation as MWF's own Backstreet Bully, knocking the young Shilva silly with some legitimately stiff shots to start. The arrogant loudmouth demonstrated some good psychology as he focused his aggression on Shilva's knee—preventing him perhaps from landing his feared Bel-Earth knee strike? A standing Shooting Star Press to the Howling Hunt's knee was particularly impressive, with Makisig eventually locking in a kneebar for the tapout loss—Shilva's first defeat. Fabio now stands at 3-0 in his career. Sane still looks hobbled from his two-week-old ankle sprain. 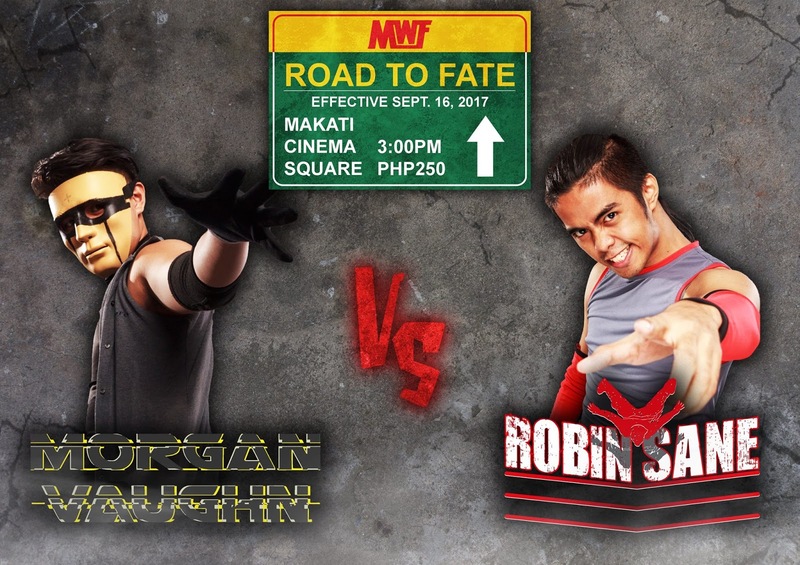 Vaughn wasted no time selecting them as the target for his assault as he attempted to finally secure a win in his MWF career. Robin Sane tried to put up a good fight, but in the end, his injury was too much to overcome. A running Codebreaker by the "Son of a Glitch" was enough to put the high-flyer away for the three-count. After the match, Gus Queens, who was watching at ringside, tried to mount an assault on the fallen Sane, lifting him up in a fireman's carry only to be ultimately sent scurrying from the ring. 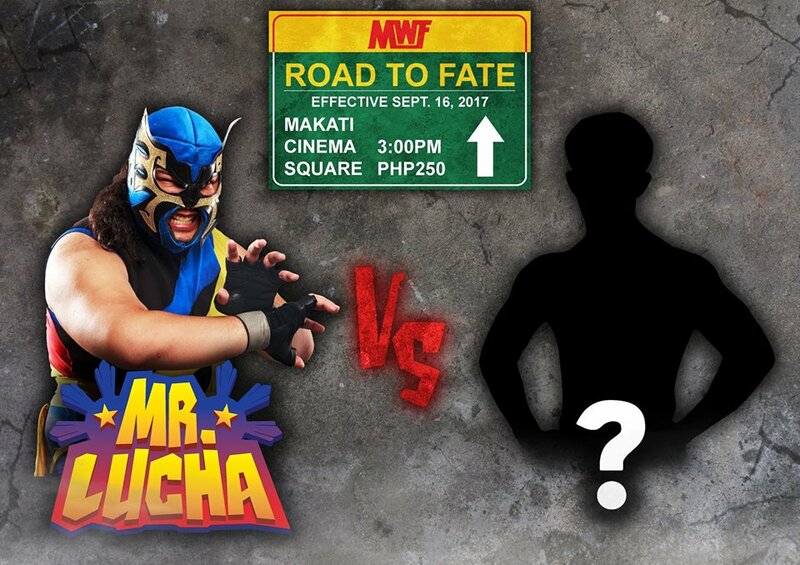 Lucha's mystery opponent was revealed to be the enigmatic Ashura, out for just her second MWF match. The "gentleman luchador" certainly lived up to his reputation, seemingly unwilling to unleash the full brunt of his powerful arsenal on his smaller foe. Ashura, on the other hand, tried her best to move the husky Lucha, but could barely even get him off his feet. Mr. Lucha took home the win with a snap Northern Lights Suplex—his third finisher in as many victories. After the match, Lucha took the mic to tell Ashura how much more she had to learn. The two hugged in a show of respect. The bad blood between the two men erupted even before the bell could ring, with a wild brawl exploding the moment they were within striking distance. 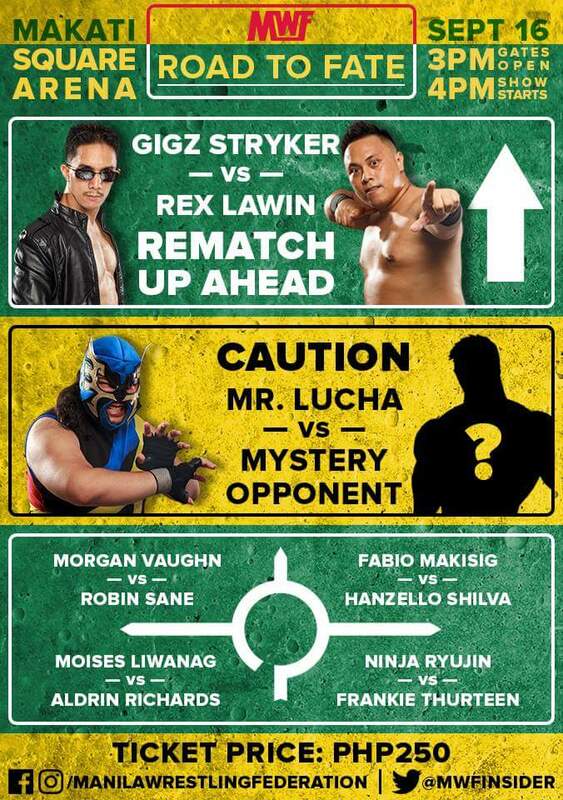 Rex Lawin finally ended his loser status in the company with a gutwrench powerbomb to even his personal series with Stryker at 1-1. Not satisfied with his win, his handler Gus Queens issued an open challenge to anyone in the company, offering five minutes with either him or Rex in the ring. 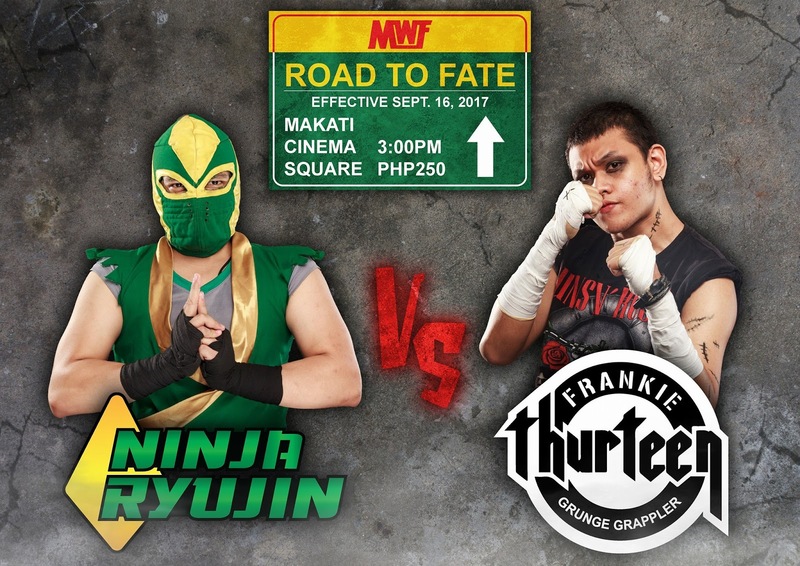 Ninja Ryujin made his way to the ring to answer the call, only to fall victim to a rough beatdown to end the show. What did you think of the show, MWF fans? Let us know your thoughts!